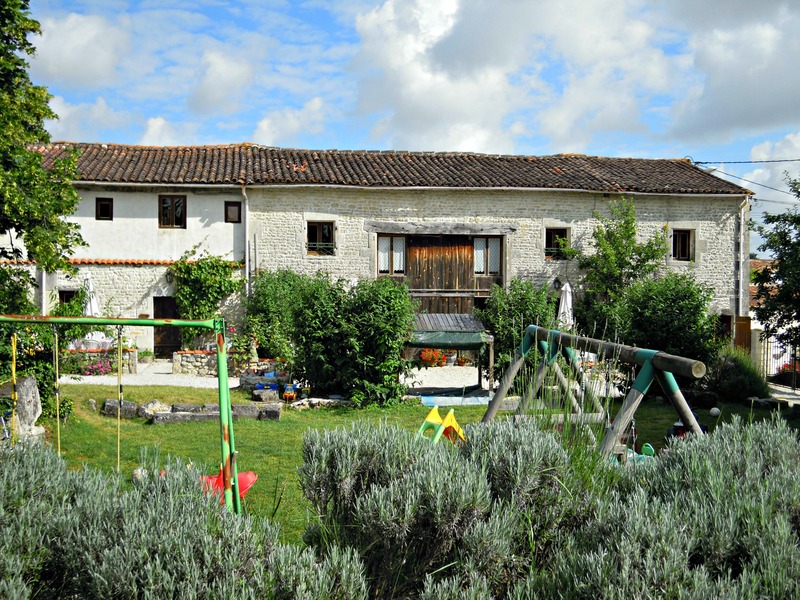 La Grange Du Moulin are 6 baby and toddler friendly gites in the Charente Maritime region of France. 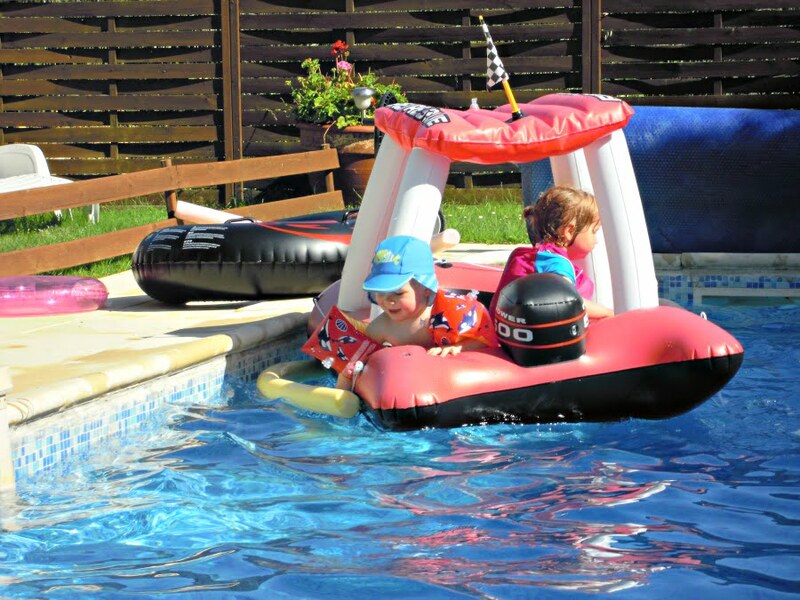 They are owned by Chris and Wendy Blakeman who have been offering baby and toddler friendly holidays in France since 1996; and with 2 children of their own they are real experts in knowing what families with young children need on holiday. They offer loads of facilities and activities for babies and toddlers, and in 2012, my husband and I stayed for a week at La Grange Du Moulin with our 2 year old toddler. 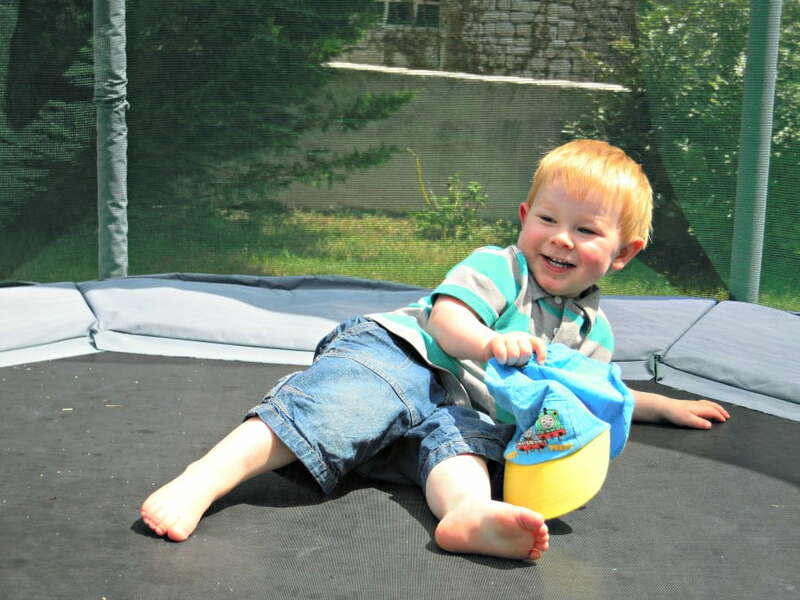 These are a few of the reasons why I would recommend a holiday at Grange Du Moulin to families looking for a baby and toddler friendly gite in France. The 6 gites at La Grange Du Moulin are set around a large enclosed garden. They range in size from 2 bedrooms to larger ones with 4 bedrooms. They are cozy and comfortable with a patio at the front and the back, and each one has it’s own private BBQ. They aren’t luxurious (and don’t profess to be) but are designed with young families in mind. They are also very reasonably priced – see prices below. All the gites have modern bathrooms with both bath and shower facilities. The gites have access to a shared laundry room with washing machine, drier and freezer. Grange Du Moulin offers holidays for children under 8 in school holidays, and babies and toddlers outside of school holidays. This means that there are always lots of other similarly aged children for little ones to play with. 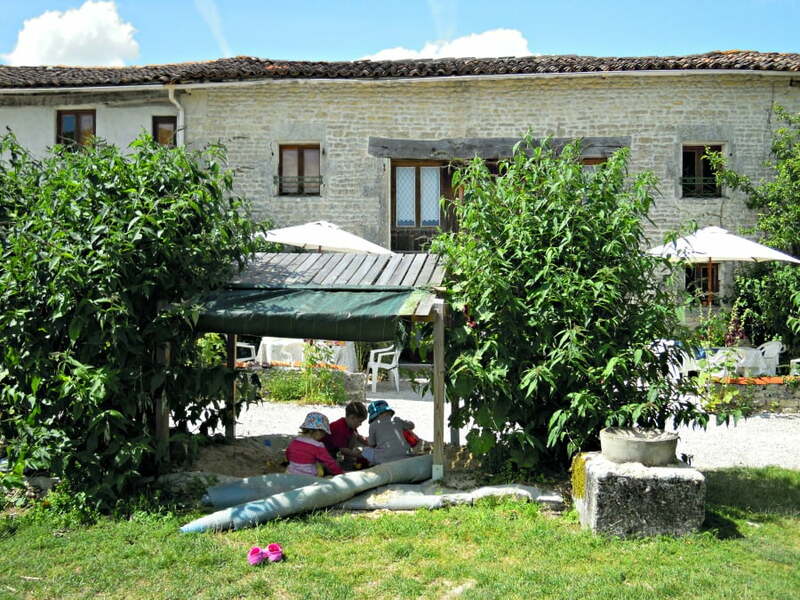 We went with another family and stayed in gites next to each other, which worked really well as both families had their own space, and the children could play outside all day together while we relaxed. Fling open the gite door and play outside in the garden – this was how our days started when we stayed at La Grange Du Moulin. The large enclosed garden is just metres from the gites and is full of balls, ride on tractors, swings (including a baby swing), a slide and a large trampoline (with safety net). 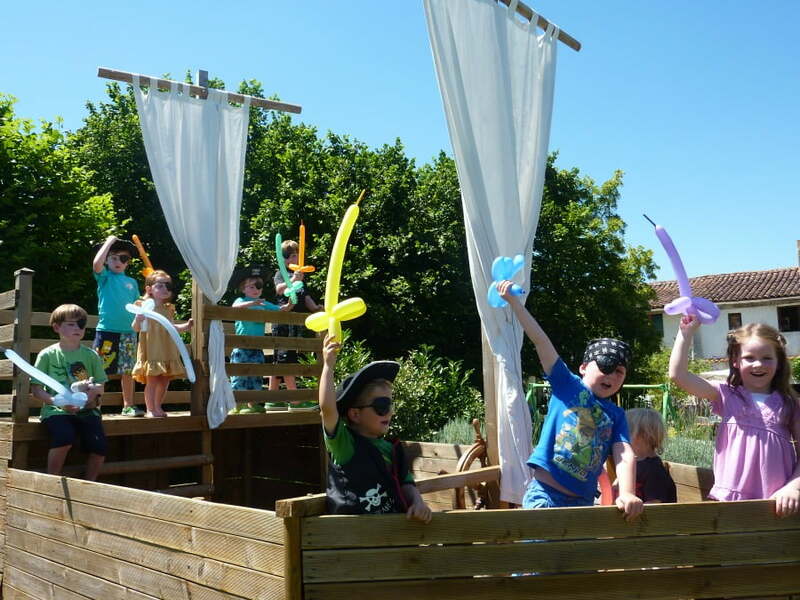 There is a great pirate ship in the garden which is ideal for climbing on and playing in. The top deck is for toddlers, and there is a cabin and lower deck underneath for babies to play in. There is even a pirate dressing up outfit to use. 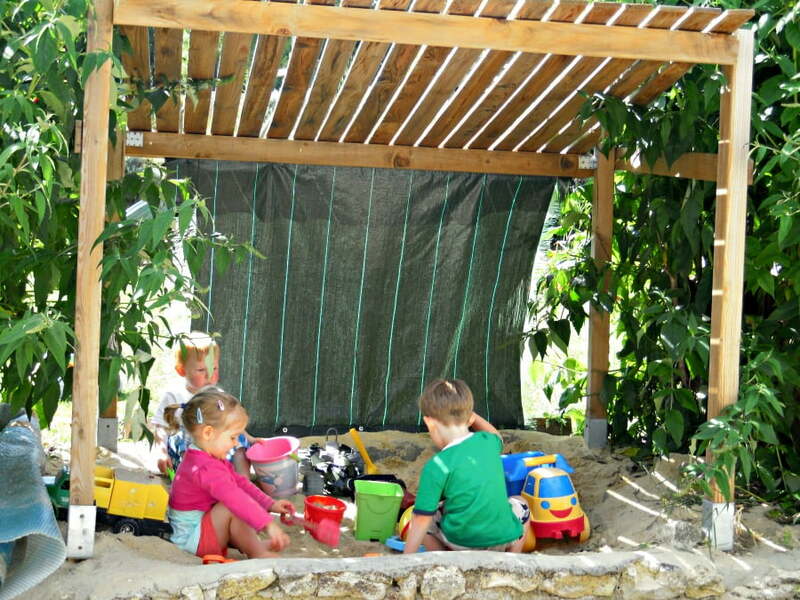 There are so many toys in the garden for babies and toddlers to play with, but one of the best parts about it is that the majority of the garden is visible from the gites. This means you can sit outside your gite and relax whilst keeping an eye on your children. Each gite also has a box of toys to play with and even toys to play with in the bath. There is a heated toddler swimming pool which is heated to 30c and is the perfect depth (0.60cm) for toddlers to splash about in and have fun. There is also a larger main swimming pool which is 1m deep dropping gradually to 2m. Each week there is a Teddy Bears Picnic, where babies and toddlers can take along their favourite cuddly toy to eat cake and play with bubbles. 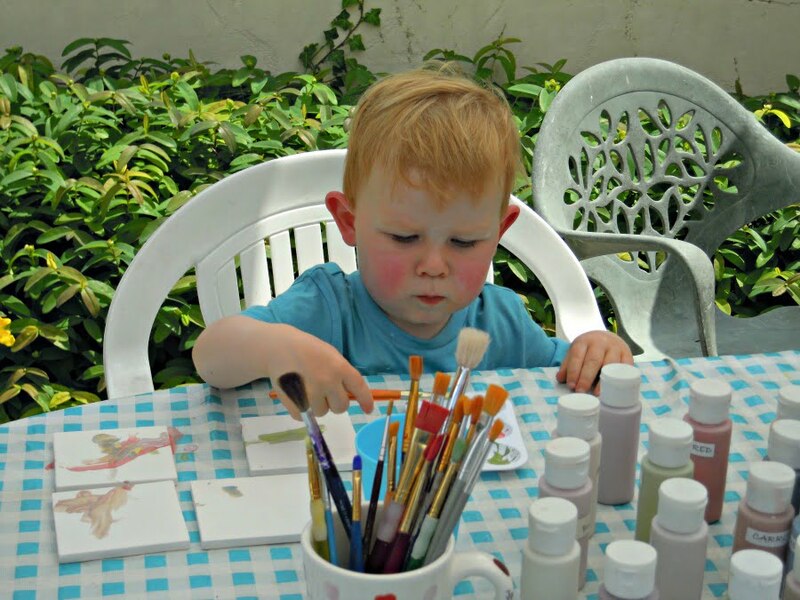 There was also pottery painting one morning when we were there where the children are offered a variety of items to paint – we still have the coasters which our 2 year old decorated! Chris , the owner, is a qualified ‘wine expert’ and offers wine related activities, such as a family friendly vineyard tour through the vines near the gites, professional wine tastings and ‘Taste Du Terroir’ evenings. There is also a weekly bbq at La Grange du Moulin which everyone always enjoys. We went on the family vine walk which was pushchair friendly and both us and the toddlers really enjoyed it. Wendy, the owner, is a registered child minder in France and can babysit for you in your gite whilst you enjoy an evening out. They even offer a day time child minding service once per week so you can enjoy a lunch out or a few hours in peace by the pool! New for 2016 is a hot tub! Relax in the hot tub whilst enjoying a glass of vin! The gites are a short drive away from the market town of St Jean D’Angely. There are numerous supermarkets, banks and shops here for you to stock up on local provisions. If you want fresh bread on a morning, you can leave a bag and some money at the entrance to the gites and the local baker will leave a baguette / pain au chocolate for you! 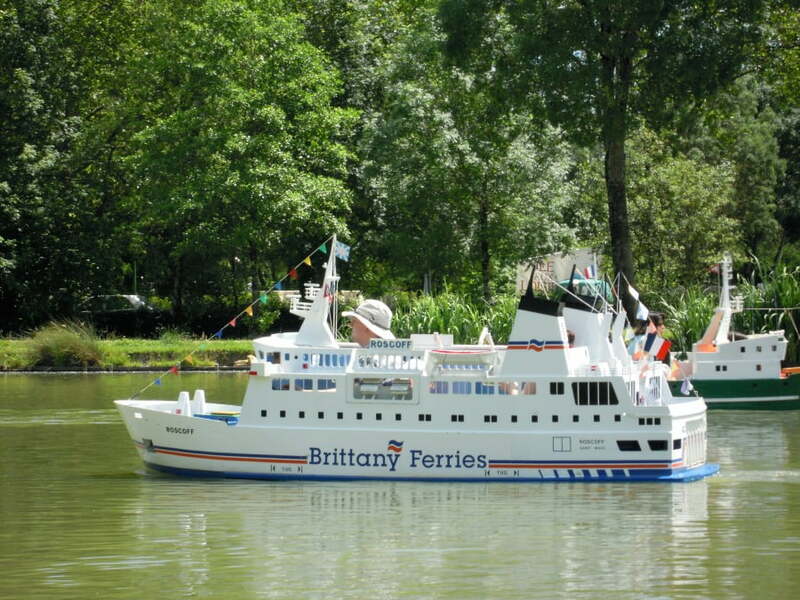 The gites are within 1.5 hours drive of Bordeaux Airport and 1 hour of La Rochelle Airport. The nearest port is St Malo which is 4 hour 30 mins drive away. The mini boats at Saint Savinien are wonderful – our toddler loved captaining his own boat around the lake followed by an ice cream! The park in the local town of St Jean d’Angely has a lake with pedaloes, a play park, ducks and a huge climbing web as well as lots of space to run around and a café to buy an ice cream. The beaches are an easy hours drive away from the gites. Royan has a long beach which is good for children. We had a great day out at Ilhe de Re – a gorgeous island past La Rochelle. You can hire bikes and explore the island before having a lovely meal in the main town. 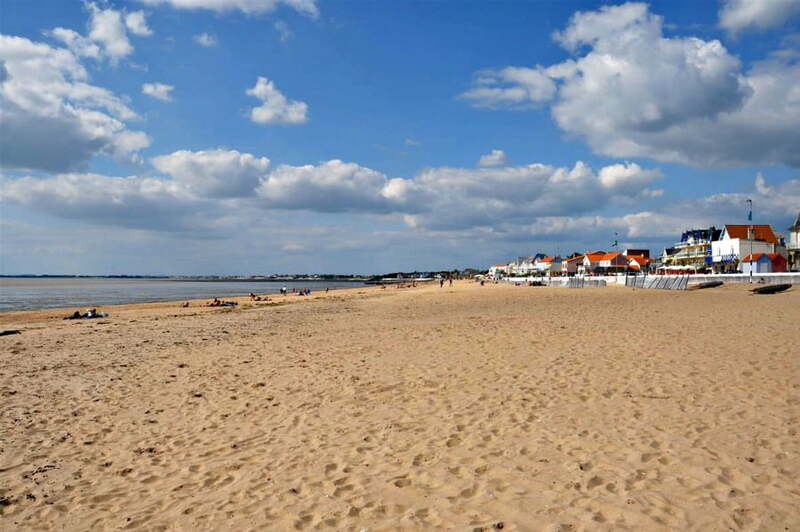 Chatelaillon De La Plage is one of the closest beaches and has a fun fair in summer. There are plenty of restaurants, bouncy castles and sunbeds to hire. This bustling town is within easy reach of the gites and you can visit one of the Cognac houses such as Hennesey. There is a Hennesey Tour which is aprox 1.5 hours but starts with a boat tour and is quite fast moving – keeps little ones occupied. This fantastic city is well worth a visit. There is the aquarium, loads of shops, the maritime museum as well as the beach. The La Palmrye Zoo near Royan is set in a lovely forest. The animals are extremely well cared for and it is well worth a day out. There are loads of local food markets close to the gites – Wendy and Chris will be able to advise you which markets are the best to visit on each day. The gites at La Grange Du Moulin are very reasonably priced – they range from £350 a week to £950 a week in the main summer season. The gites are open from May to September.